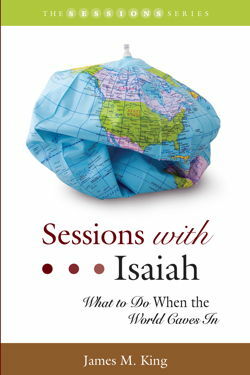 Sessions with Isaiah is a nine-session study unit designed to explore how an individual, a people, or a nation responds spiritually to great stress. Each session is followed by a thought-provoking page of questions that allow for a deeper experience of the scriptural passages. 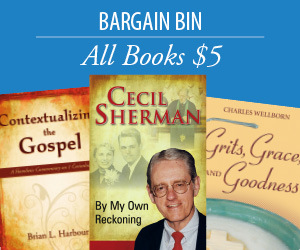 These resource pages can be used by seminar leaders during preparation and group discussion, as well as in individual Bible study. The book of Isaiah begins in the years of national stress when, under various kings, Israel was surrounded by more powerful neighbors and foolishly sought foreign alliances rather than dependence on Yahweh. It continues with the natural result of that unfaithfulness: conquest by the great power in the region, Babylon, and the captivity of many of Israel’s best and brightest in that foreign land. The book concludes anticipating their return to the land of promise and strong admonitions about the people’s conduct—but we also hear God’s reassuring messages of comfort and restoration, offered to all who repent. James M. King is the senior pastor at Parkway Baptist Church in Duluth, Georgia. He is a graduate of the University of South Carolina and holds two master’s degrees and a Ph.D. from the former Southern Baptist Theological Seminary. Dr. King is a teach- ing supervisor for the Contextual Education Program at Candler School of Theology, Emory University. He and his wife, Linda, have been married for forty-three years and have three adult children and three grandchildren. During his spare time, he enjoys fishing, reading, and traveling.